I am on the kitchen floor. My back slides down the refrigerator and I collapse in a heap, sobbing. I have been waiting for this moment. 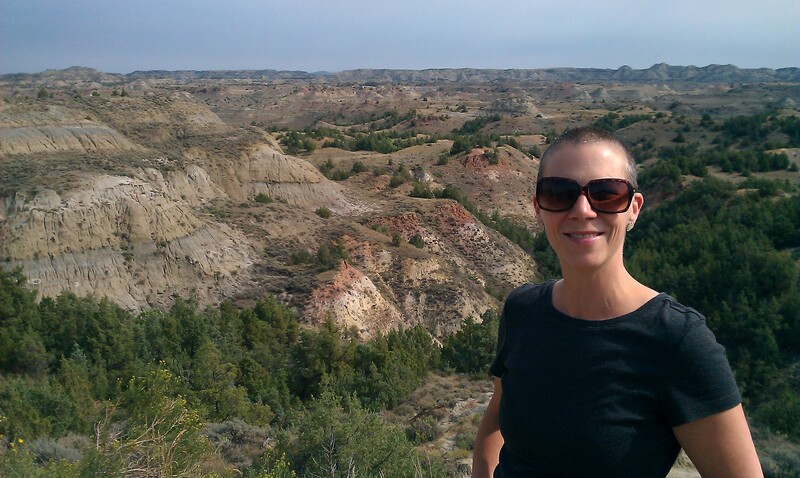 Hiking in the Badlands. The difference of a few days. A friend of mine often called from the kitchen floor when she was going through her divorce. I thought somehow I had evaded this. I was wrong. I tell my friend Lisa this. She is in Chicago. I am in Seattle. It is a year ago today. I cannot put together simple thoughts. I do not know what to put in the car. I am leaving tomorrow. My books are boxed and ready to be shipped when I have an address. I have done nothing else. Lisa tells me to wake Michael, my friend who has offered to help bring me home. I lie down next to him in his bed, turning in on myself – into fetal position— and weep. I want him to comfort me. To wrap his arms around me. He does not. He tells me to put on a pot of coffee. That we have work to do. I have given away most of my clothing. It is too big. What remains I lie in a large Ziploc bag. Michael attaches the vacuum hose to it and turns it on. We are giddy watching my Calvin Klein dresses and still-too-large, but-I-wear-them-anyway,Old Navy jeans get shrink wrapped into clear, plastic pancakes. He loads my belongings into the 12-year-old Civic, making good use of every available inch of space. I just watch, as if this is “happening” to me. I feel disconnected and numb. 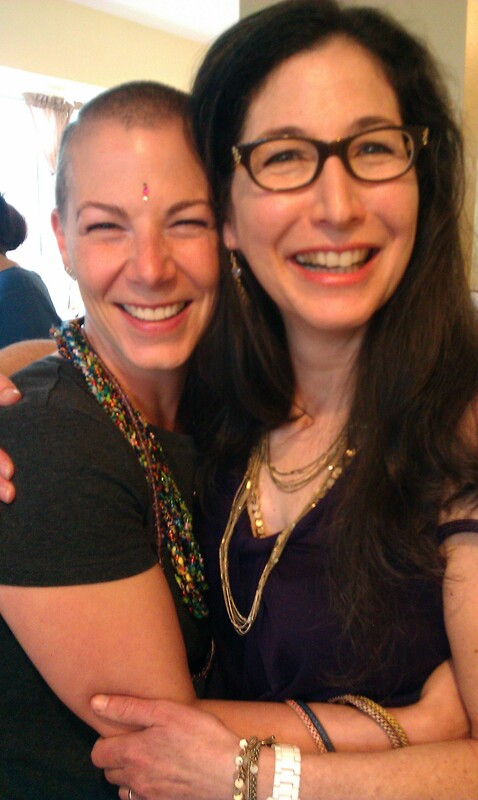 Me and my cousin, Lois. When he is finished we climb the cement stairs outside of my house to the top of Queen Anne Hill. My cousin Lois has invited us to come eat apples from her tree. It is sunny and warm. We sit in the backyard and talk while her dog, Tsipi chases the tennis ball Michael tosses to her. He is the dog whisperer, much like my ex-husband, and she knows it. Later, we meet Ernie and his dog, Cordelia – a tea-cup pinscher – at Molly Moon’s for ice cream. One last cone – half honey-lavender, half salted caramel. One last goodbye. That night, I meet my ex in the bedroom that used to be ours. That is his now and has been for a few months. I forgot what a nice view it has. And that the walls are still painfully bare. I look at the duvet cover from Ikea. I don’t remember when we bought it, just that we did – together. There is cat fur on it. Like there always is. I say goodbye. I don’t remember the words. Only that I ask for his blessing for a relationship I’m not yet having, but hoping for, with a man we both know. A man I have grown close to in the months since he asked me for a divorce. “If that is what you want,” he says, referring to this man. Michael is watching television on the couch. I sit next to him and link my arm in his. I rest my head on his shoulder. There is a slow-motion battle scene on the screen. Native Americans in traditional dress and men in cowboy hats. It is another time. Music. An arrow goes through someone’s chest and he falls, slowly, slowly, slowly into the water. It is dreamy and surreal. The show. This moment. I still feel like I am watching all of it. Tomorrow we will begin our journey home. I don’t remember going to sleep. Just waking up. Meeting some friends one last time and taking photographs. My friend J gives me a card, sharing his feelings for me. I have suspected them. He has kept me at arm’s length my entire year here. It was “the right thing to do,” he says. I stop at Macrina Bakery on the way home to pick up coffee and morning buns. I mention I am going on the road and the barista gives me the drinks for free. Michael is pulling together his things when I get home. My ex is gone. And in about an hour, I will be too. I don’t yet know what lies ahead. Just that I am going. That I have chosen to go. 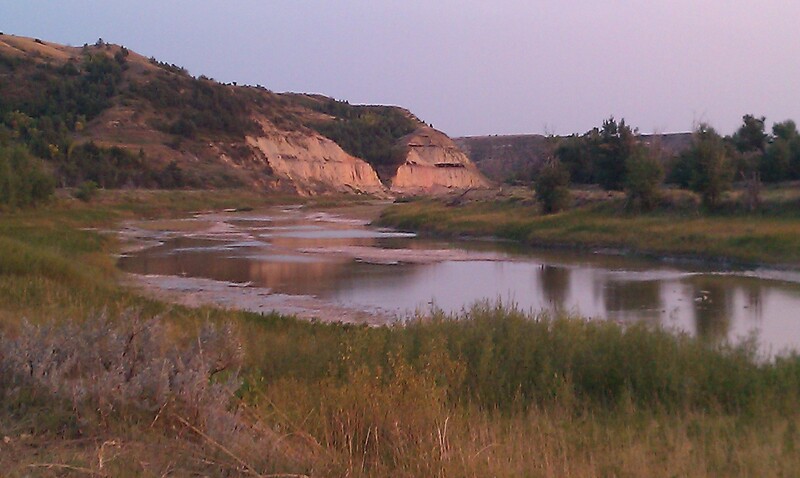 Making camp along the Missouri River. I don’t know that I will camp under a blue moon along the Missouri River. Hike in the Badlands. Or shoot a gun for the first time in my life. I don’t know that I will bury my birth mom. Fall head-over-heels in a crush that does just that. That I will reclaim my rightful name as writer. I don’t know that I will once again fill my house and my closet with someone else’s treasures. That I will still be single one year later. That my dream of becoming a Rabbi will fall away from me like molting feathers. I’m not sure that I could comprehend any of it if I did know. But I didn’t have to. Over the years, my ex frequently said it would be my turn next. One year later, I know that it surely is.